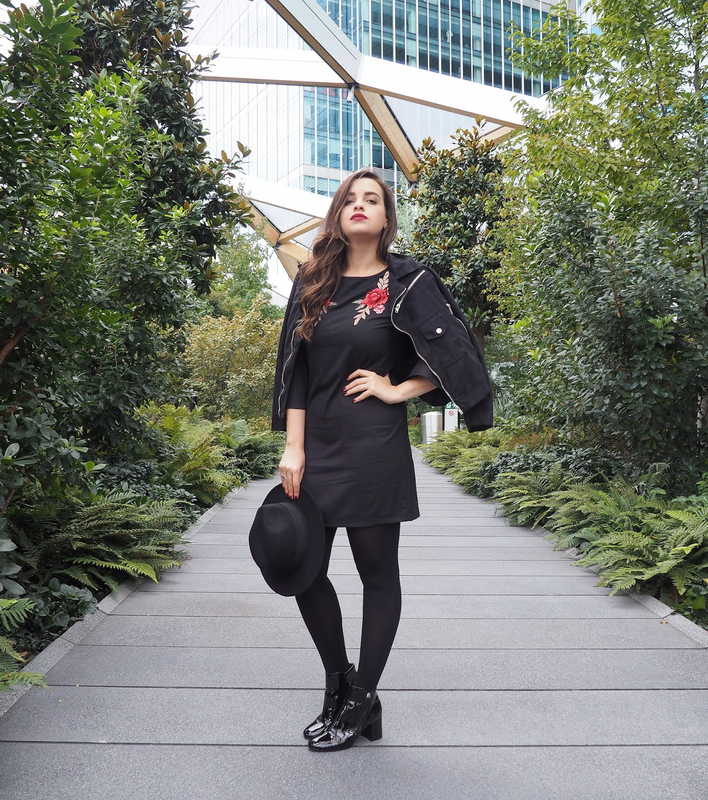 You will agree with me when I say that autumn is the perfect season to refresh our wardrobe. With new fall trends taking over the fashion world, we fashion bloggers want to try new outfit combinations and styles but truth is, we can barely fit anything else in our closets. This is particularly true for me and with the tiny wardrobe and one set of drawers I have in my room, trying to squeeze in a new piece is always a struggle, let alone a whole new outfit. Which is why I was glad to hear from Boohoo and participate in their new Autumn Campaign, or as I like to call it: out with the old, in with the new. 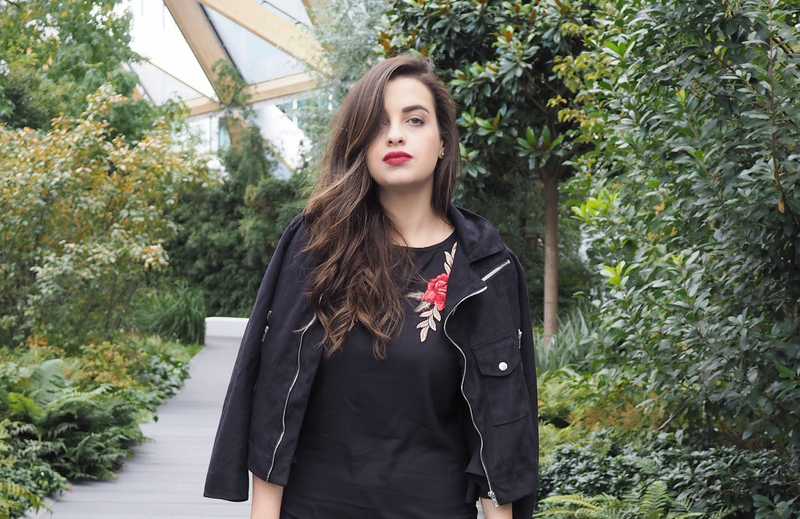 The idea was to choose a brand new get up from the amazing new Boohoo fall collection as well as support a good cause by donating away some of the clothes I don't wear anymore or as much as I would want to. Let's see how I got on! Thankfully, I've never been too attached to anything material, especially clothing. I've always liked having regular clear outs to make space for anything new or because I knew someone would probably get more use out of the things that were just sitting in my closet gathering dust. At the very beginning of September, and as soon as I got home from my summer holiday (seen my travel diaries yet? here, here and here) it was time to put away any summer clothes and bring out the fall pieces I had tucked away. Whilst doing so, I divided things in 3 piles, the keep, the gotta go and the maybe. I confess that most of the maybe pile did make its way back to my drawers but within that pile I found a pretty especial dress I wore to a memorable event in my life; prepare to aw. I thought about keeping this dress for memory sake; I wore it 3 and a half years ago, to my sister-in-law's wedding, the perfect occasion for my crush at the time to ask me to be his girlfriend (I swear he wasn't trying to steal his sister's thunder haha!). This photo was taken right before the ceremony but later that day, during the reception when he popped the question, he also gave me the most gorgeous diamond heart-shaped necklace which I have worn every single day since then. Like I said, I did consider putting this back in my closet to remember that day by but I told myself that regardless if I had the dress or not, I would never forget that moment, nor did I need a dress to remind me of it. As you can see my style has changed massively since then, I have thankfully lost a bunch of weight and the dress is much too short for my current liking, so I decided to pass it on. I didn't give it to charity but I do have lots of family friends who have teenage daughters and they are always more than happy to take things off my hands. I love when they wear my older pieces and make it their own and the girl I gave this to looked lovely and it made me so happy someone else was enjoying what once was a special dress for me. With my closet a little less full it was time to pick some new clothes I would get more wear out of this season. I started by looking at coats & jackets and my pick was this gorgeous yet lightweight Suedette Biker Jacket* which I knew was going to be an ideal cover-up for beginning of fall as well as for layering later in the season. 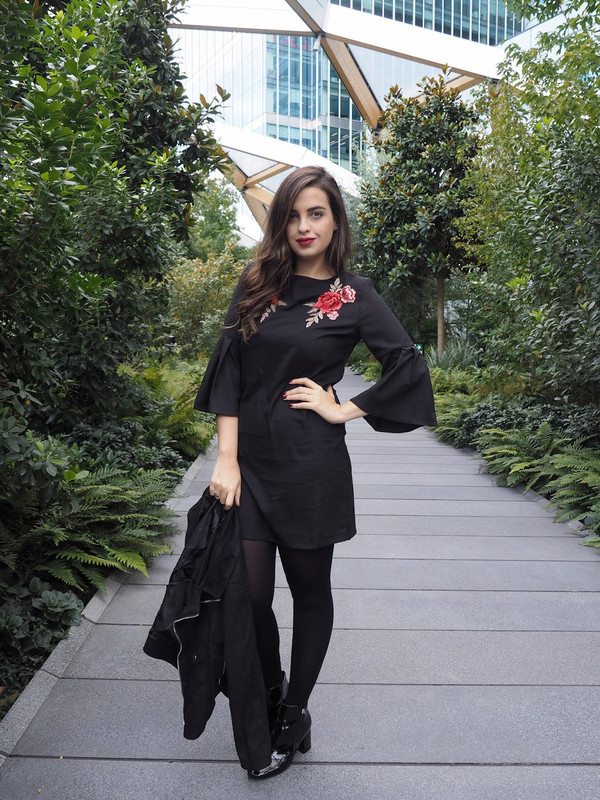 For the main part of the outfit a dress with bell sleeves and floral embroidery seemed fall-perfect, and this Boutique Shift Dress* was my first choice. Apart from its easily creased material, I love how pretty the dress looks on and the fact that I can also make it work a top under a skirt or pants; talk about being versatile! A fedora hat as the finishing touch seemed more than appropriate and this Ribbon Trim Fedora Hat* did just the trick. What do you think of my new outfit? Tell me, have you had clearouts too? Have you recently donated anything to charity? Let me know below! Thanks to Boohoo for the opportunity and you guys for reading! Have a great week beauties! Great choice with the new outfit you picked out! I haven't had any clear outs yet, but one is due. Love your picks. I love the story of the dress, Pam, haha. I think giving away clothes to younger nieces, relatives or friends is one of the best ways to recycle clothes, and I personally love receiving secondhand item, especially if they have sentimental value and an interesting to go with it like yours does! That aside, I think you look stunning in this all black ensemble, Pam! I love the slight feminine and bohemian edge to the look, what with the floral embroidery, bell sleeves and fedora. Very edgy and chic! That was so sweet story about the dress, Pam. and you look absolutely amazing in this outfit. The jacket is gorgeous. ok I seriously love that dress and the embroidered design! Super cute outfit, LOVE the patent booties! Love the new outfit Pam! Love that you have a photo of the item you gave away, that's sometimes better than keeping it anyway! You always look so lovely, dear Pam! I loved the outfit, since I love embroidery, black outfits, jackets, and the boots are also so lovely! I liked the picture you showed, when you went to your sister-in-law's wedding and your now fiance asked you to be his girlfriend. How sweet is that! Well, I am a bit different, but for some personal reasons, that one day I may share. I tend to keep things like that (dress). Obviously we remember the situation forever, but I (now, since a few years) tend to attach myself to some things. I donate a lot, thankfully, but some things that I know I will probably never wear again (due to the emotions of the moment) will still be kept. But anyway, I like your ideas, let someone wear this beautiful dress and be happy too! Hope you have a very beautiful week! Hugs! I love this campaign! No better way to recycle your clothes! And you're so right, such cleaning always makes you feel better! This dress is so beautiful! I couldn't agree more, fall is the perfect time to revamp your wardrobe, its my favourite season for dressing up! Gorgeous look lady! I love this so much. You can easily dress this look up, or dress it down for more casual occasions. Amei o vestido, fica-te super bem! Eu curto bastante o estilo boho. Estou precisando reunir parte do que tenho para fazer doação sim! 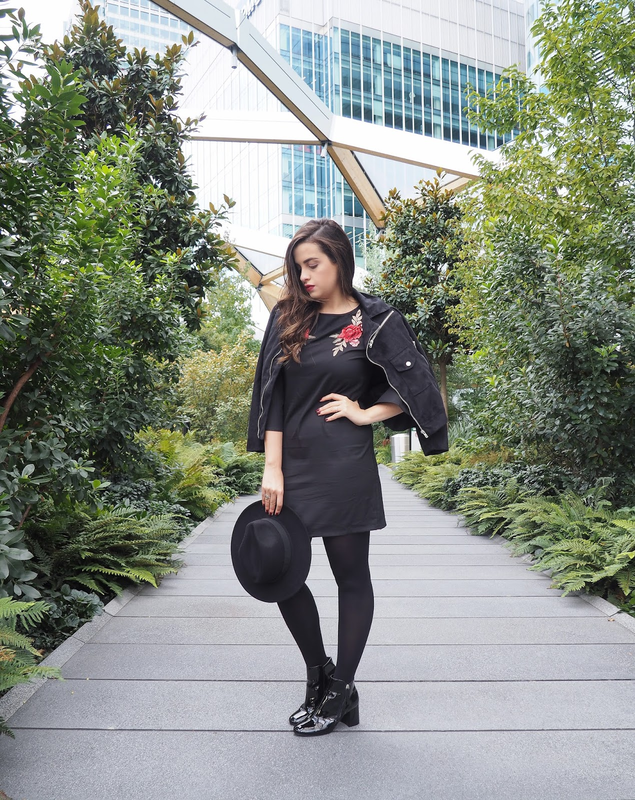 Great minds think alike ;) You look adorable in this OOTD, Pam. Like the concept, sounds interesting, tho. Love the dress. I love Boohoo.com i have so many clothes from them! I quite enjoy doing routine purges of my closet as well. It feels good to get rid of stuff you know you don't wear anymore and pass it on to someone who will. Beautiful outfit and amazing photos. What a great idea and campaign! Love the detail on the dress, I have a similar one from Boohoo when I was at London Fashion Week! As usual, another great outfit! I just love that dress, really suits you! I really got to do it, cause my wardrobe is a mess. Talking about the outfit, i just loved it. You look awesome. wow, how could you be so beautiful. You are amazing with the all black outfit.